I first met Ramsay McKinnon back in 1999, a few months after I had started my "Vintage Hofner" website. From that time on, Ramsay has helped me develop the website by supplying photos of his guitars, as well as providing me with old catalogues etc. Some time after our first meeting, I became aware that Ramsay was himself in the process of putting together an impressive portfolio of information about vintage Hofner guitars. We were in-fact running parallel with each other.........me with my website and Ramsay with his "Project". It is therefore now an honour for me to be able to supplement and enhance the information provided on my website with Ramsay's work, which I have placed in this totally separate section to my own pages. I consider that the information researched by Ramsay is of too much consequence to simply blend in with the main website. Please note that the information in Ramsay's Project has been arrived at totally independently from myself. It may well be possible to find (hopefully only) minor discrepancies between it and that contained within my website. Please excuse this. 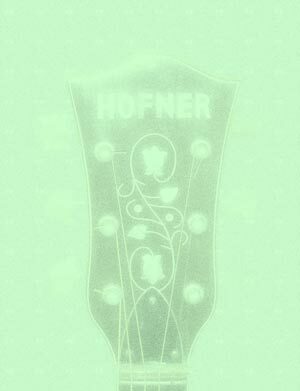 Few accurate records exist of the finer points regarding Hofner production in the 1950's and 60's, and we may well have arrived at slightly different conclusions during our separate research. 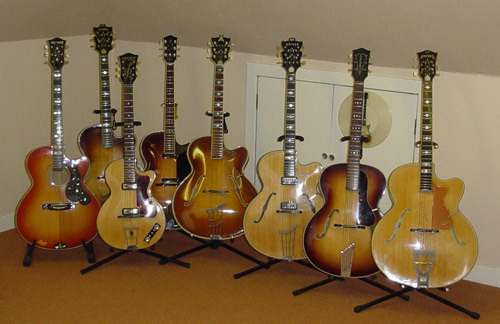 That is all part of the fun of being a Hofner enthusiast. This is not an exact science, and there is always something else to discover! Please note: The copyright of the content of the webpages linked to this page is held by Ramsay McKinnon.